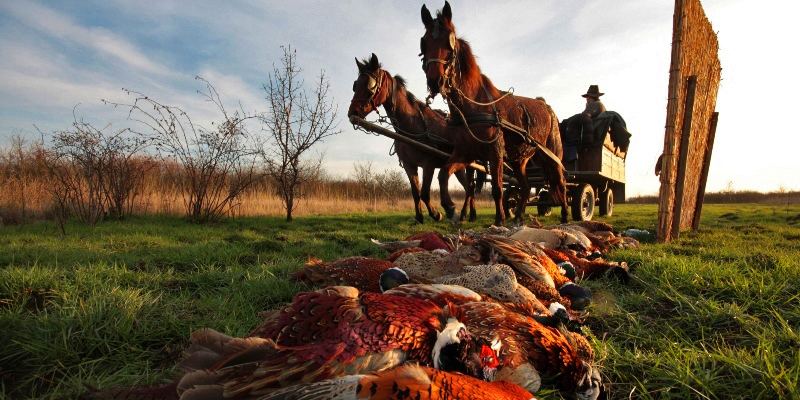 Welcome to Serbia - one of the world’s best kept secrets when it comes to bird shooting. 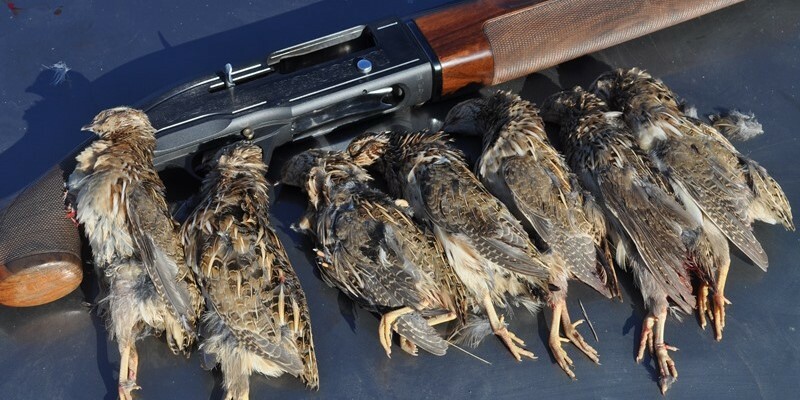 This is a bird hunter paradise with challenging high volume Dove & wild Quail shooting, Duck & Geese hunting and perfectly organized driven and walked up shooting on Pheasant. Enjoy the diversified landscapes, the traditional food and the hearty hospitality of Serbia. 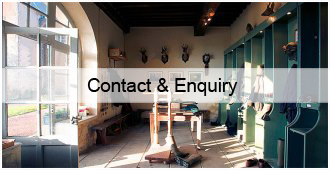 Our partners are very experienced with a very high reputation and offer some really great shooting opportunities at a very attractive and competitive price. 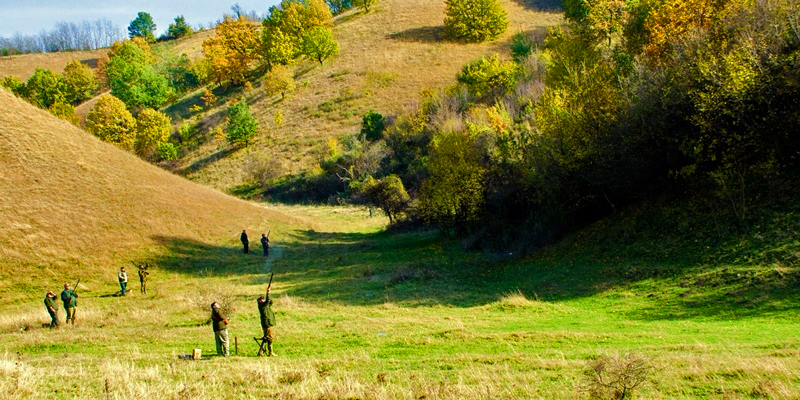 All bird shooting takes place in an area called Deliblato Sands. This is a large sand area covering around 300 km² of ground in the Vojvodina province. It is situated between the river Danube and the southwestern slopes of the Carpathian Mountains. This very interesting landscape with it´s different landscapes, rivers and lakes offer the best habitat for all kind of birds. 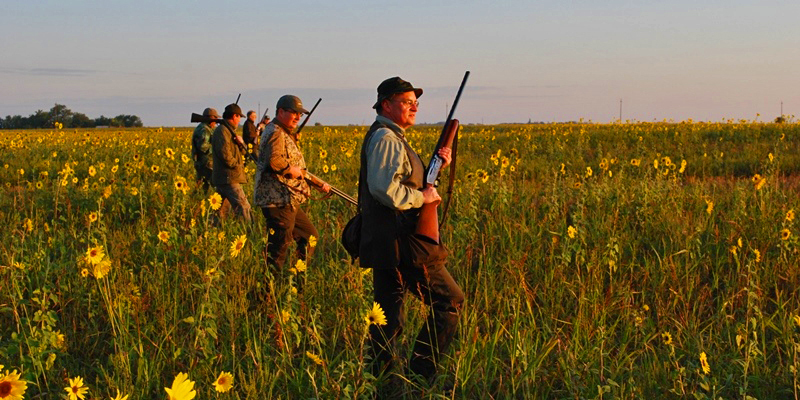 We offer 4 different kinds of bird shooting – some of them can be combined perfectly. 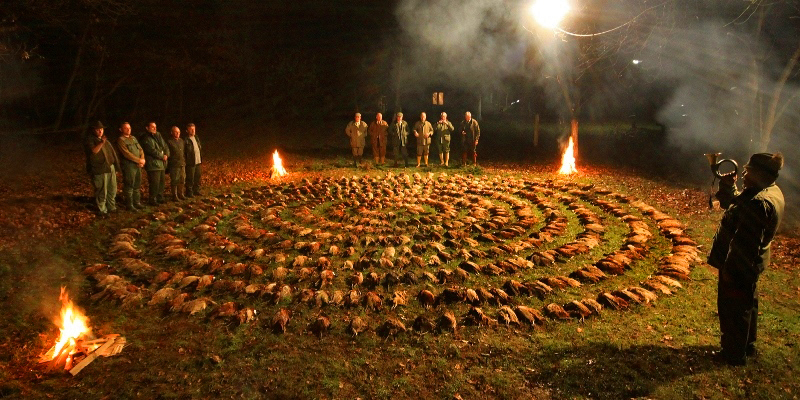 This is one of the world most challenging high volume dove shooting available. 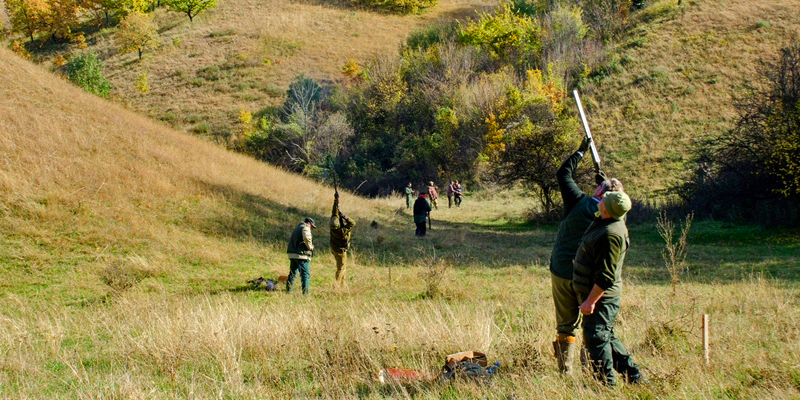 The best period to bring your party to Serbia and shoot high volume doves is late August and early September. We offer during the course of day mainly collared dove mixed with few turtle dove and common dove. This is a fast and exciting shooting in sunflowers and over stubble. The birds are plentiful and there is no need for much cover and decoys. 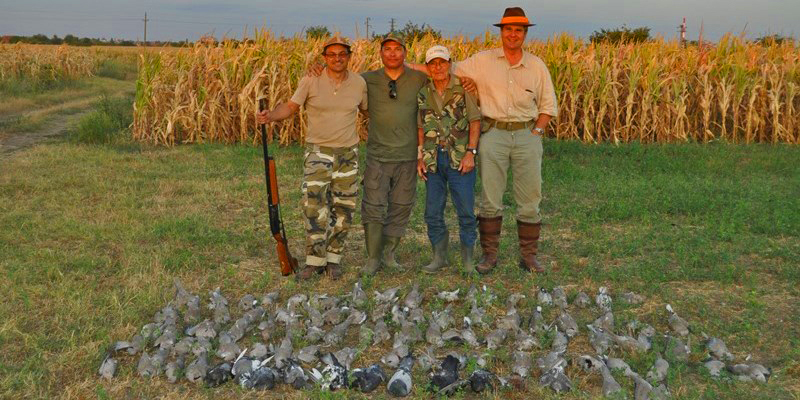 Teams of 6 to 9 guns can shoot between 500 – 600 doves per day. We organize two walked up drives per day for teams of 6-9 guns. Bag expectation should be around 50-75 birds per gun team per each morning. 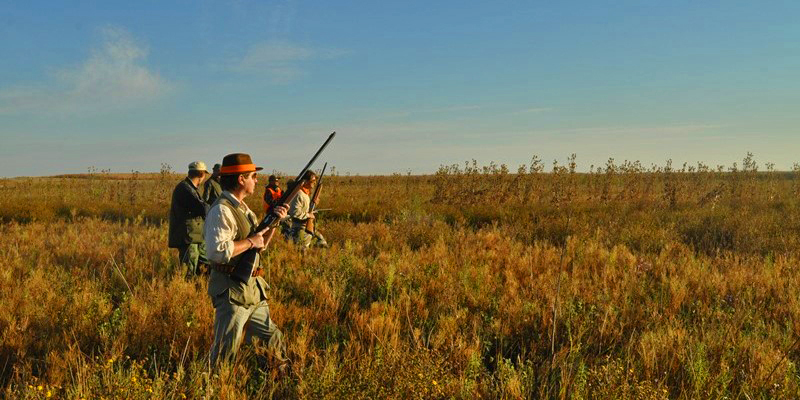 Morning quail hunting is memorable experience, as you will hunt quail at sunrise to avoid the heat of the day. The hunters move very slowly in a straight line across the stubble fields following the pointers. Our team will provide all sorts of trained dogs for flushing and retrieving the game. The best time for wild duck shooting is early September. If you prefer more geese in the bag we have to go for late December until late January. The river Danube with its many channels, ponds and valleys around Deliblato Sands provide some of the largest wintering grounds for migrant birds, totaling 160 000 wild ducks & geese. This region offers the opportunity to shoot very high numbers of wild birds per day, which you can choose from 8 species of duck and 2 species of geese. From 15. September to 15 November, we also offer a possibility for driven duck shooting. 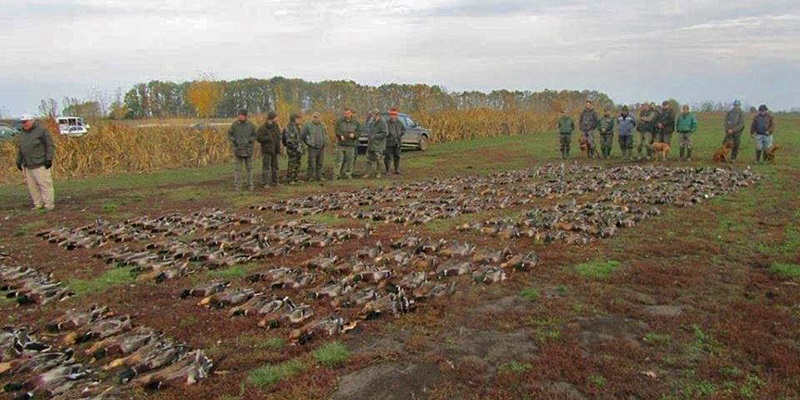 A group of 8 hunter can expect between 500 to 800 ducks a day. 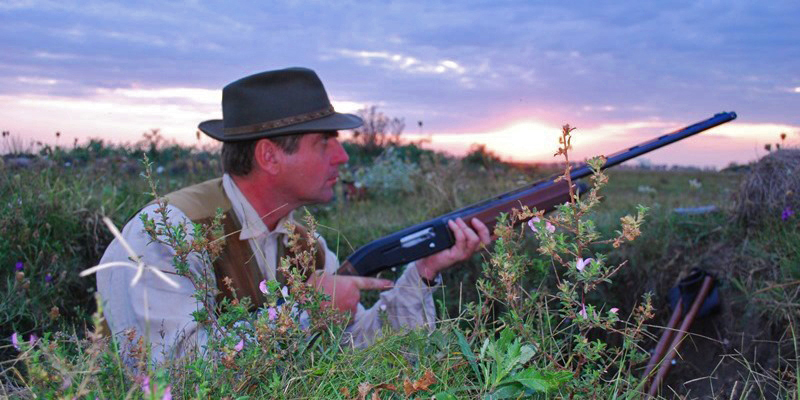 During this month we offer a really fascination package of quail, dove and duck shooting. We start early in the morning with walked up shooting on quail in the fields. After a break and lunch we go for high volume dove shooting at the sunflower fields and stubble. Before sunset we will then have some high wild duck shooting at the Danube or the ponds. What a great opportunity for the enthusiastic bird hunter. 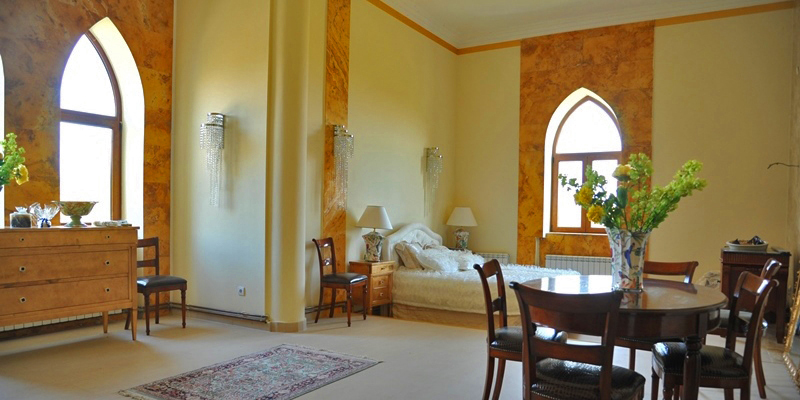 The accommodation will be at the famous Kapetanovo Castle. At first glance, the Castle might seem like an unusual medieval edifice. However, looks can be deceiving. This castle was built by the prince Botka Bela in 1904. It is an example of neo-goth architecture and a rare example of “plain” or “field” castles and of pseudo-medieval castles. 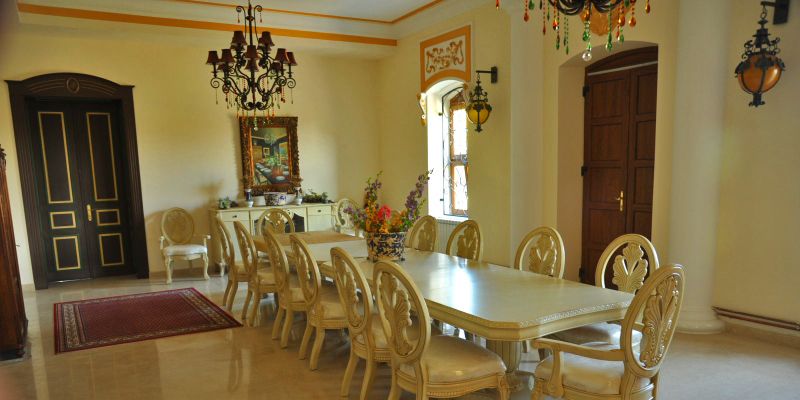 It offers 10 spacious double rooms, a very good restaurant and a nice living room. It offers all comfort you need after an exhausting day of Wingshooting. 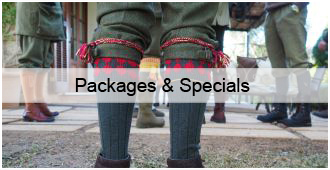 Please ask for a tailor-made offer for your shooting party. 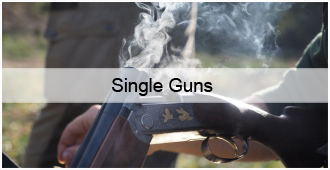 We also offer single gun days. Please check our section “open shoots”.